Welcome to the Armbrae Parents’ Association wine sale! This wine sale will run for a limited time only- until Tuesday, April 30th, 2019 at Midnight. Wine can only be purchased through the Bishop’s Cellar website. $25 for every case sold will be donated to the group’s fundraising. All prices include HST & bottle deposits. Funds raised will help the Armbrae APA continue to bring enriching community events to our students and families, including special events like our Welcome BBQ, the Holiday kick-off, and our end of year carnival! 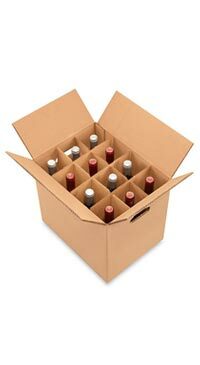 Wine pick ups will occur from 8 AM- 7 PM Tuesday, May 7th, 2019 at the Bishop’s Cellar Warehouse: 3607 Strawberry Hill. Questions? Email [email protected] or call 902.495.7414 for more information. *No substitutions can be made. 4 bottles Vino dei Poeti Prosecco (Italy) Vino dei Poeti Prosecco is produced by Bottega. It is a brut sparkling wine made in the traditional manner of Prosecco. It is produced with Prosecco grapes from the Conegliano Hills and is harvested slightly early to ensure lively acidity for freshness and structure. 4 bottles Riff Terra Alpina Pinot Grigio (Italy) Vivacious and fresh showing aromas of green apple, melon and a hint of mountain wildflowers. Quite elegant on the palate, this wine offers fresh, spicy fruit flavours followed by a creamy mid-palate and a crisp, dry, mineral-laden finish. 4 bottles DMZ Chardonnay (South Africa) At Demorgenzon, the slopes rise up to 400 m above sea level with the ocean as a backdrop. The DMZ Chardonnay offers light citrus and vanilla aromas and hints of almonds. The palate is clean with tropical fruit to follow. 4 bottles Brigaldara Valpolicella (Italy) The Brigaldara winery is located just outside the town of San Floriano, in the heart of the Valpolicella region, north of Verona. Made up of 55% Corvina, the star grape of the Valpolicella blend, this wine is 100% delicious. The palate is medium bodied with plenty of fruit and a little bit of spice. 4 bottles Chakana Malbec Reserve (Argentina) A dense blue & purple colour is followed by big, bold flavours of blueberry, blackberry, coffee, and white chocolate. Remarkably rich and heady, with a full-bodied mouthfeel as well as silky tannins. 4 bottles Noble Vines Cabernet Sauvignon 337 (California) A classic expression of this revered variety, from vine stocks originating at the grand chateaux of Bordeaux. Supple tannins and balanced acidity support core flavours of blackberry, black cherry and toasty oak.